I would like to remove the class in the red circle from the legend. In QGIS you can simply delete or remove it. How can one do this in ArcGIS without affecting the actual graduated symbology? The easiest way to remove that in ArcMap would be to delete it graphically. 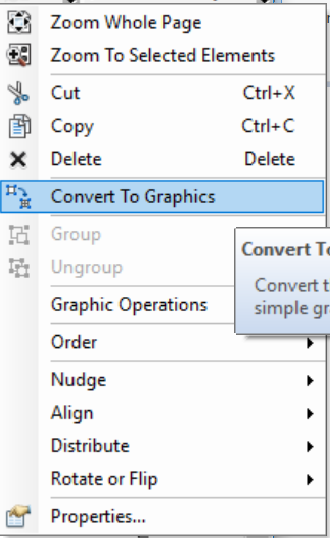 While in Layout view, right click on your legend and click "Convert to Graphics". Once the Legend becomes a graphic, right click the legend again and click "Ungroup". You may have to do this operation twice in order to separate all of your legend graphics. Once the graphic items are separated you can delete whatever you need to. Not the answer you're looking for? Browse other questions tagged arcgis-10.0 symbology legend remove or ask your own question. Is there a way to remove this thick gray border from my raster symbology in the legend? Adding count of features in categories to legend using ArcGIS for Desktop? How to remove layer names from the print composer legend? 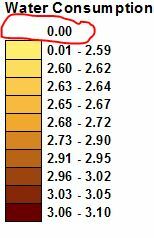 Graduated symbol class error from QGIS? Setting one class in raster symbology using QGIS?